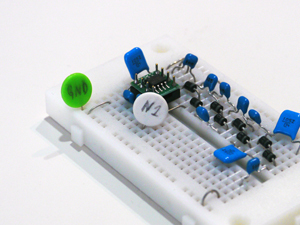 Here we’ll explain how to make pins to couple breadboards. 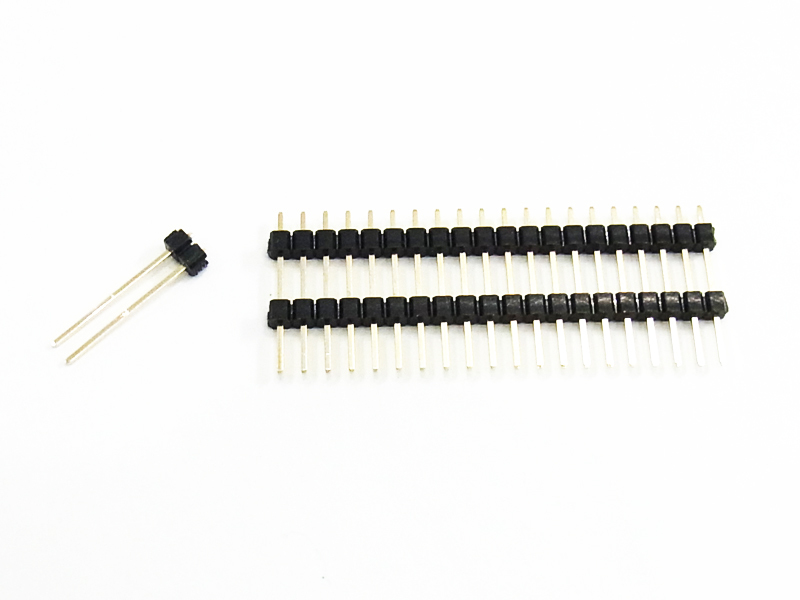 By using these pins or coupling pins for back surface coupling, you can make a multi-layer breadboard like “Ikura-don(salmon roe on rice) board”. The material is shown on the right and the completed item is on the left. The material is available from Akizuki Denshi Tsusho Co., Ltd. or other shops. First, break off as many pins as you need. Next, slide the black plastic part by pinching it with pliers. 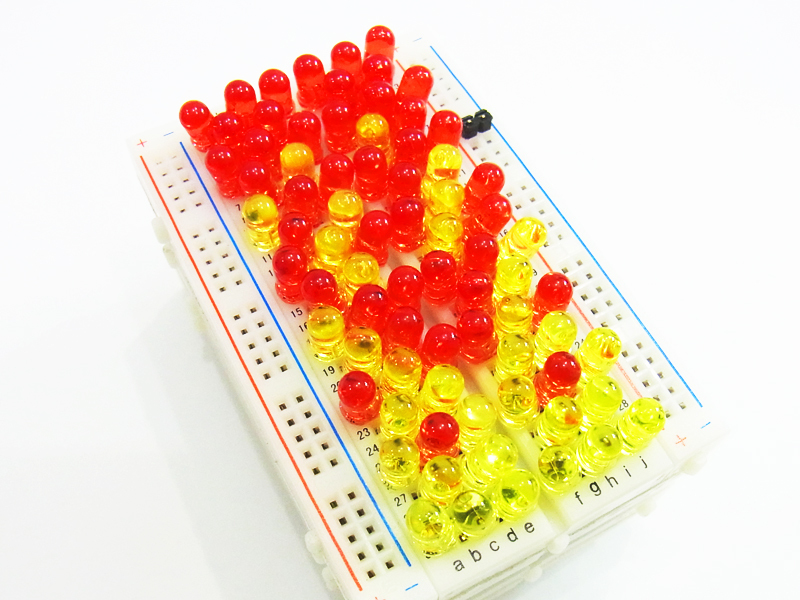 It is now completed By using some of these pins, as shown in the center of the image below, you can couple two breadboards facing each other. 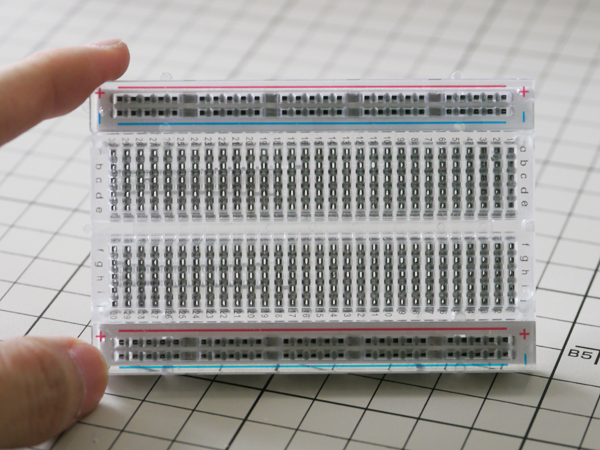 We introduced the Prototype for transparent lead-through breadboards the other day. 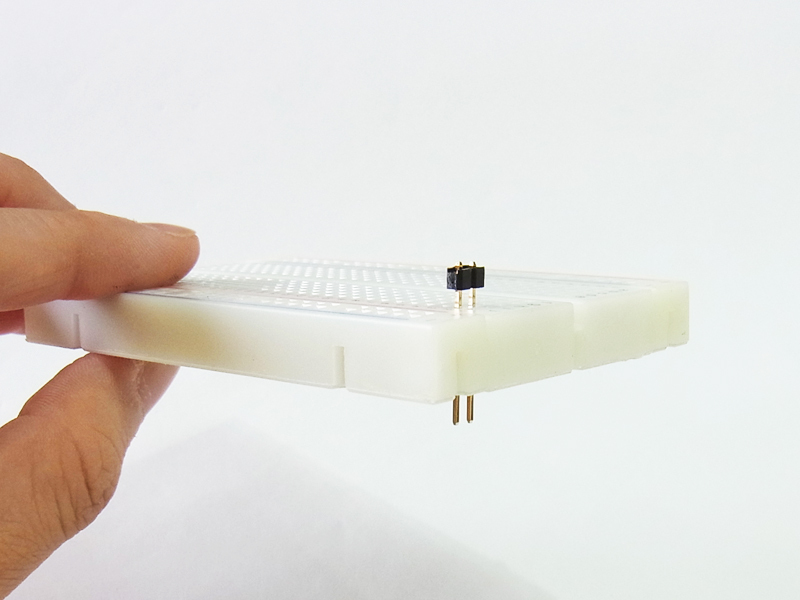 The transparent breadboard is rather expensive, so we made the prototype of standard ivory-colored breadboard, focusing on the lead-through feature. 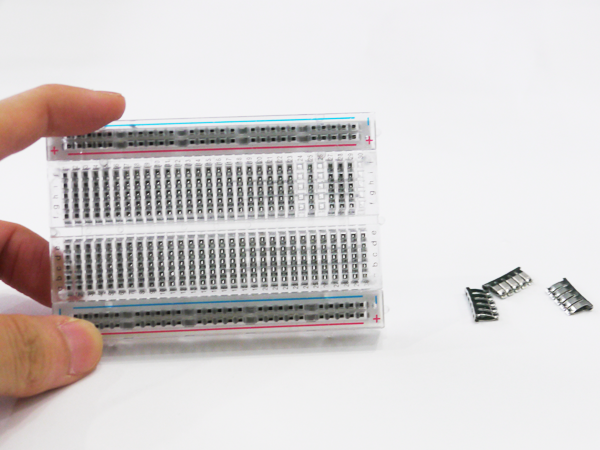 You would see no difference from an ordinary breadboard on the surface. On the back, it has a resin board with holes instead of double stick tape. These are the lead-through holes. 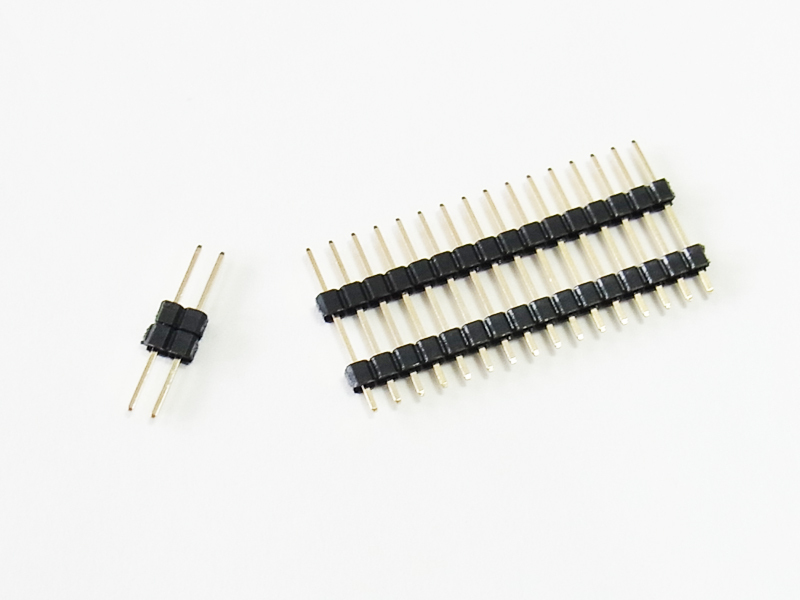 Other features are same with an ordinary non-lead-through breadboard. Now, we are going to determine how much work time is reduced when the lead-through breadboard is used.